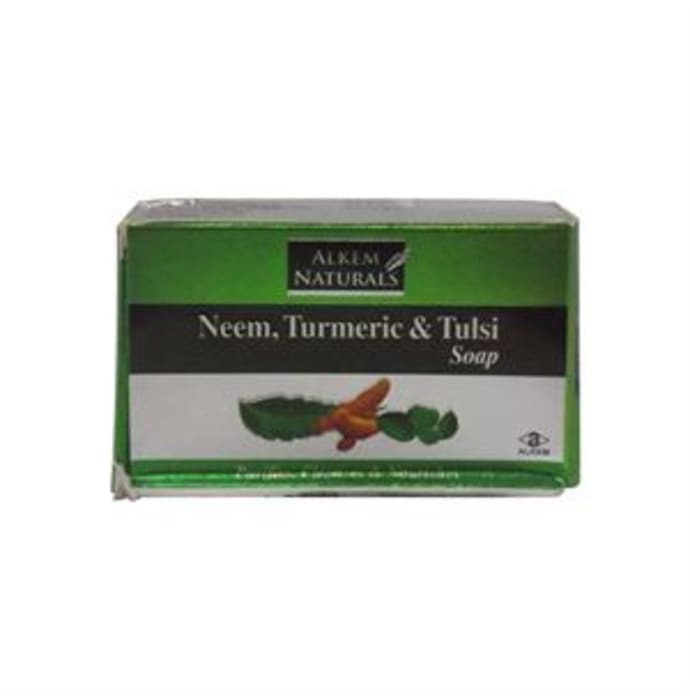 Alkem Naturals Neem turmeric and tulsi soapis an ayurvedic blend of ingredients to keep the skin rash and irritation free. The anti-bacterial, anti-fungal and anti-inflammatory characteristics of neem, tulsi and turmeric make this soap a versatile one. This soap cleans, tones, and nourishes the skin. It also fights skin dryness while retaining the moisture. Wet the body, apply soap generously and work up a lather and rinse.